"Her tenacity, focus and sheer hard work on my case was extremely impressive. This was always coupled with her sense of humour which lit dark moments." Li Yen specialises in managing complex construction and commercial disputes. As a dual qualified lawyer, she has acted for a broad range of clients in the private and public sector and represented them in adjudications, mediations and court proceedings. Li Yen’s approach is being upfront with her clients on where they stand, not simply telling them what they want to hear. Her goal is to identify what evidence is required from where to improve her clients’ position and work with them to secure the best outcome. Li Yen is recognised as an Advocate and a Solicitor by the High Court of Malaya. 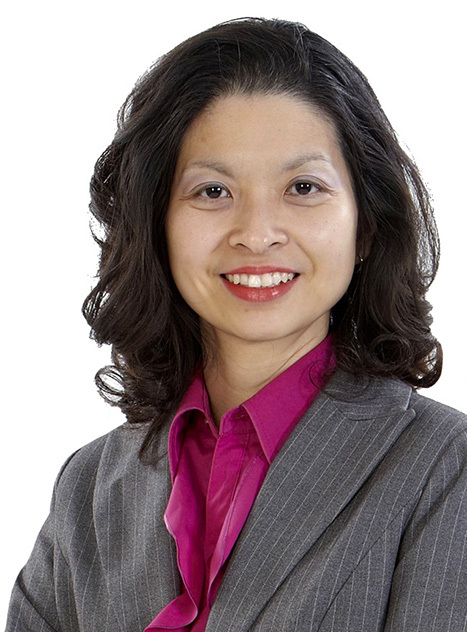 Li Yen has significant experience in acting for clients in the High Court and the Technology and Construction Court. She advises on alternative dispute resolution methods as cost-effective and time-saving measures of resolving construction and commercial disputes. Li Yen has a track record of winning in adjudications, having been involved in both claiming and defending claims. These have been for the public and private sector, developers, contractors and sub-contractors in relation to JCT suite of contracts and bespoke contracts. Acted for a multinational company in a dispute in respect of contractor’s default in payment on a turnkey sub-contract for the construction of a photovoltaic plant. The matter involved advising the client swiftly on the complex contract provisions and developing a legal strategy during a live project, to provide the client with a quick resolution. Payment was received in full by the client within 3 weeks from instruction, avoiding any formal dispute process. Acted for a city council in a dispute on payment notice under the Construction Act. She worked with the client to present a merits-based defence and successfully defended the claimant’s application for summary judgment, recovered costs and claim discontinued by the claimant. Volkerlaser Ltd v Nottingham City Council  EWHC 1501. Acted for an architect in a professional negligence claim by a high profile property owner. This was a complex multi-party claim involving architect’s duties, causation and measure of damages. The case involved interim applications including witness testifying by video link, a successful defence and recovered costs in a six-week trial in the Technology and Construction Court. McGlinn v Thomas and others No.2  EWHC 2322, No.3  All ER(D) 272, No.4  All ER(D) 286 and No.5  All ER(D) 475. Acted in a complex multi-million dollar claim against a high profile multi-national, involving the sponsorship of Formula 1 racing in China and South East Asia. By combining mediation strategy in court proceedings, settlement was successfully achieved at mediation prior to trial. Acted for a hotel and conference venue in a complex multi-party multi-million pound claim for defects to the building. Settlement was successfully achieved at mediation, avoiding a costly trial. Acted for a multi-national specialist manufacturing company in a High Court claim for fire damage to its factory involving the failure of machinery. Settlement was successfully achieved at mediation prior to trial. Acted for a company director of a restaurant in a complex High Court claim involving injunctive relief. Settlement was successfully achieved prior to trial. Acted for a developer in an adjudication commenced by contractor claiming significant sums including loss of profit. This was a detailed investigation of the factual and evidential matrix to put forward compelling arguments to secure the best chances of success. It resulted in a triumphant win as the adjudicator decided the contractor had to pay our client instead of the other way around. Acted for a borough council in an adjudication involving interim payment and abatement for significant defects. Li Yen dealt with payment notice arguments advanced by the contractor and successfully defended the adjudication. Acted for a building contractor in adjudication on an unlawful termination of contract and claiming payment under the contract and loss of profit. Dealt with a range of jurisdictional and technical points raised by the respondent, including respondent’s commencement of arbitration proceedings. Successful on all issues referred in the adjudication, consequently the respondent discontinued the arbitration. “For people like me a court case is a traumatic experience. Fortunately I was lucky to have Li Yen Lim as my solicitor. She gave me great support and always had the patience to explain complex legal issues very clearly and simply which I greatly appreciated. Her tenacity, focus and sheer hard work on my case was extremely impressive. This was always coupled with her sense of humour which lit dark moments”.